Alcohol-free and aluminum salts free, the ball deodorant provide a pleasant feeling of freshness and well-being. Its natural ingredients help neutralize the formation of body odor. 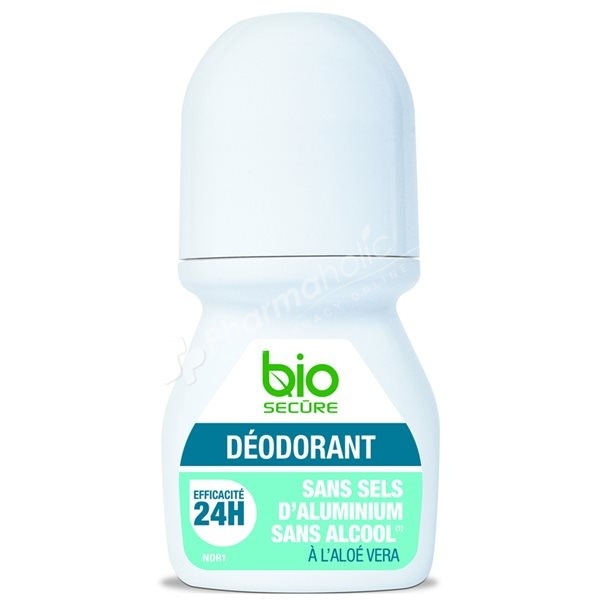 Alcohol-free and aluminum free, the ball deodorant provide a pleasant feeling of freshness and well-being. Its natural ingredients help neutralize the formation of body odor. Aloe vera and shea contribute to make the skin balance. Paraben free. Organic farming certified. Every morning after cleansing, apply underarm deodorant. Aqua, Aloe Barbadensis Leaf Juice, Rosa Damanesca Flower Distillate, Isopropyl Palmitate, Caprylic/Capric Triglyceride, Glycerin, Glyceryl Stearate Citrate, Polyglyceryl-3 Caprylate, Polyglyceryl-3 Methylglucose Distearate, Butyrospermum Parkii Butter, Parfum, Benzyl Alcohol, Undecylenoyl Glycin, Sodium Benzoate, Stearyl Alcohol, Cellulose Gum, Xanthan Gum, Phytic Acid, Sodium Hydroxide, Citrus Grandis Seed Oil, Tocopherol, Helianthus Annuus Seed Oil, Rosmarinus Officinalis Leaf Oil, Citral, Citronellol, Limonene, Linalool.